Convenience – We offer an on-site icemaker, purified water, and sewage waste dump facilities. Weather Protection – You do not have to worry about sun, wind, or rain damage. You boat will remain in excellent condition regardless of the season. Affordable storage options – Marina costs can be high for boat storage. If you prefer outdoor storage, your boat remains under watchful care. In the cities around the Redlands area, boats cannot be parked on the streets or in your driveway. 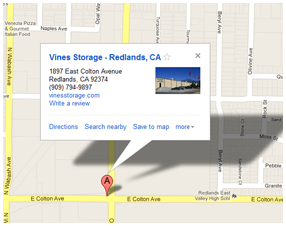 Therefore, you may want to consider Vines Storage. We know that boats are investments and understand you want to ensure the utmost protection for your property. We understand RVs and boats are the perfect pair for a family vacation. If you own both and face space constraints in your neighborhood, we can provide a home away from home for your RV as well. Like our boat storage, we can store your RV indoors or outdoors. Indoor storage is the recommended option to ensure the utmost protection. Conveniently, when it is time for the next vacation whether it is camping or a beach trip, both your RV and boat will be ready and waiting for you. Let the team at Vines Storage take care of your prized possessions so you can focus on the details of your next family getaway. Call 909-389-6209 today.